Grindiin Records Front Man, Tito Da.Fire has taken it notch higher with an alliance with the highly respected Alapomeji boss, 9ice. This new collaboration is coming on the heels of his last single, “One Kiss” which got good reviews online and a massive rotation on TV/Radio. 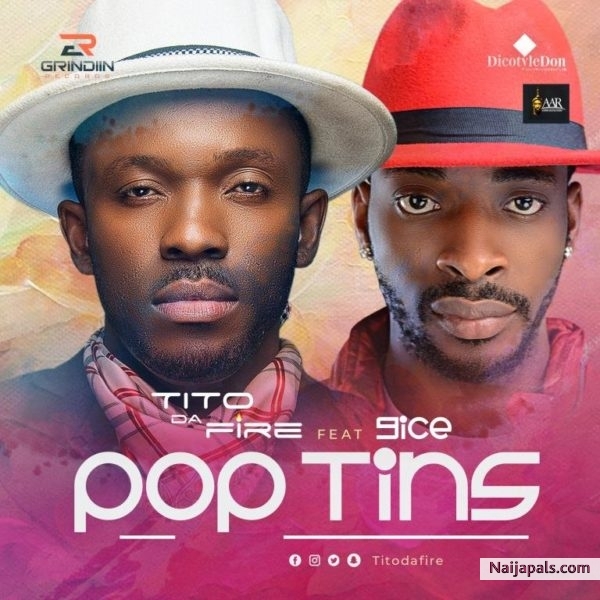 The new song, “Pop Tins” puts you in that celebration mood while you give thanks to God, the Ultimate provider. So after making that money, don’t hesitate to take a little off it and give yourself an holiday treat. Pop Tins is produced by Mallam T.Bass, mixed and mastered by Olumix.